Which should you prefer generic or brand-name drugs? Our generation is lucky. Decades ago, it was difficult to find medications for various illnesses. But today, we are already given numerous options. For instance, if we go to a pharmacy and ask for a cough syrup, there would be different brand-names of cough syrups and generics. If you will be faced with this situation, what would you rather choose? We do not have the expertise of a pharmacist to decipher which type would be better. However, you do not need to be an expert to know what to buy. 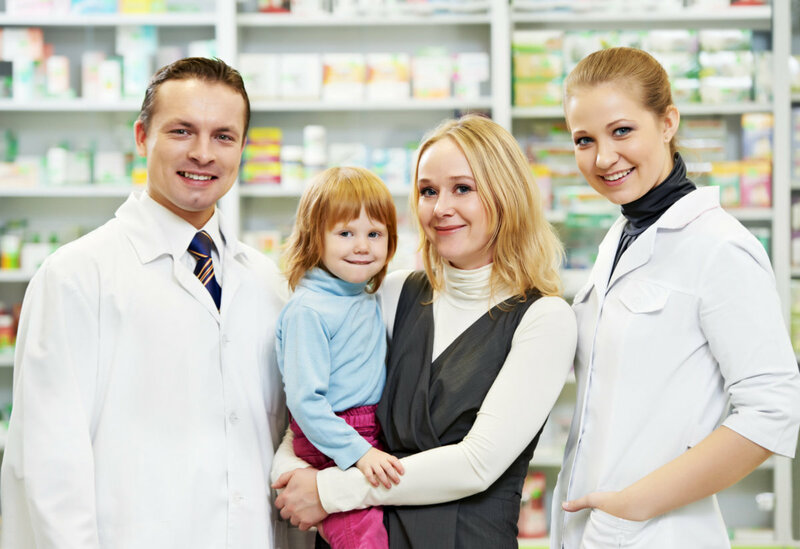 St. Mary Pharmacy wants to enlighten you with some simple facts about brand-names and generic medications so that the next time you go to a pharmacy, you will find it easier to choose which one you prefer. Generic medications are actually biologically equal to brand-name ones. A generic drug has the same dosage form, safety, strength, route of administration, quality, and intended use with that of its brand-name counterpart. The only difference between the two is their inactive ingredients which include the fillers and dyes in the pill. Thus, generic drugs are considered as copycats of the brand-name drugs which are often allowed to manufacture after the expiration of the brand-name’s patent. Now, why shall we choose generic medications? First, they are cheaper. Unlike brand-name drugs which follow rigorous research and testing before being available in the market, generic medications are only copied from the drugs that are already available. Also, generic drugs have similar active ingredients with that of brand-name and they have similarly passed FDA approval. Nevertheless, generic drugs could pose threats. Generics are oftentimes produced in India or China where not all factories are well-built; thus, raising the possibility of contamination. The packaging of these drugs are usually similar with that of different medications, and this could lead to mixing up with other pills. If you have numerous generic drugs in your medicine cabinet, you might take the wrong pill and eventually feel the harmful side effects. Brand-name drugs are the first of their kinds. After a company invents a particular cure for an illness, the FDA conducts a series of tests before finally approving its availability to the market. Although branded medications are more expensive than the generic ones, you will be assured of their efficacy because they are under patent and are considered as the latest in their drug class. These medications have newly discovered ingredients which mean new medical benefits. Oftentimes, the inactive ingredients used for brand-name drugs are safer compared to generic ones because these fillers are included in the laboratory tests conducted to get FDA approval. Whenever you purchase brand-name drugs, you will also be assured that its labeling is accurate; hence, you will know what you will be taking. Hopefully, this information has enlightened you somehow. If these are not enough and you need to purchase a specific medication, contact a reliable Pharmacy in Palm Harbor, St. Mary Pharmacy, at 727-773-9000 or visit our website at stmarypharmacyrx.com. This entry was posted in Pharmacy Services and tagged brand-name drugs, generic drugs, generic or brand-name drugs. Bookmark the permalink.